Cianne Wyland leads a double life. No one in House Staerleigh would suspect that the meek woman on whom they heap their disdain is a gatherer of secrets. Determined to uncover whether the House’s upper echelon—including her own father—are engaging in illicit activities in a grasp for control of the House, Cianne has made an art of slipping into their homes to rifle through their private lives. Kila an Movis is an Enforcer. Gods-gifted with an extraordinary ability to piece together physical clues, he’s entrusted with protecting the vulnerable from crime. But his habit of expressing his opinions a little too freely earned him a nine-year banishment to the wilds, and he’s determined to be more circumspect upon his return to the trade city. When someone close to Cianne dies and Kila is called out to investigate the scene, her world and his collide once more. His long absence hasn’t driven the memory of him from her heart, but the woman he encounters isn’t the child he remembers. Unwilling to trust anyone else, Cianne enlists Kila’s help. The deeper they dig, the more secrets they unearth about her father, the other House members, and her entire life—until Cianne discovers that House Staerleigh is built on a foundation of lies. 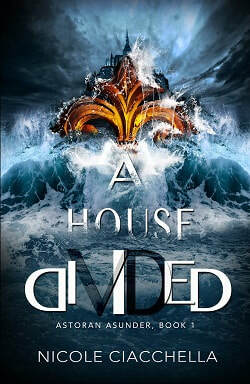 Receive a FREE copy of A House Divided as a thank you gift when you sign up for my newsletter. Eraly’s trust in the Seventh Sisters is beginning to waver. Despite abundant proof that Astoran’s stability is deteriorating, the cloister’s leaders have resolved to adhere to their strict policy of non-interference. Eraly isn’t alone in her frustration, but before she can enact her plan to try to make the leaders see reason, she’s sent back into the field with instructions to infiltrate the nobility of Vyramas. Her covert mission: collect evidence the cloister leaders will be unable to disregard. An Obscurist, Amir Sharaff was born to deceive. His House has long provided the nobility with reliable and trustworthy spies, and the ambitious Amir’s star is on the rise. What both his House and his noble patron don’t know is he’s also a double agent, gathering proof of the parts the nobles played in the royal massacre. When one of the nobles hints that there may be more to the death of Amir’s noble patron’s son than meets the eye, he can’t ignore the implications, even if they’re meant only to mislead him. It’s the very opportunity Eraly needs. Amir has connections she lacks, and she possesses multiple skills that will make it easier to uncover the information he needs. Unwilling to fully place his trust in her, Amir nevertheless agrees to an uneasy alliance. What they find shakes the foundation of everything they hold true and sets them on a course that could irrevocably alter the realm. Xaran Ridgeford is on the cusp of a discovery that could have cataclysmic repercussions for the realm. Concerned about how deeply beholden to the trade Houses his House has become, he’s determined to go to extreme lengths to protect the secrecy of his research. Unable to shake the conviction that there was more to her brother’s death than she was told, Aderyn Silverin left their mercenary company and has spent years wandering aimlessly, trying to erase her past. A chance meeting in the city leads Xaran to hire Aderyn to help him get his research into secure hands. But her help comes with a price: information about her brother’s mission for Xaran’s House, the mission that got him killed. As Xaran and Aderyn work to untangle the web and reveal the truth, they start to realize that their only hope may rest in one another. Two years ago, Jaris Harron fled a revelation too monstrous to face. Eager to escape his old life, he joined The Taskmasters, a small mercenary company operating in a remote region, and the secretive crew has proven an ideal fit. He’s made peace with his decision to reject all human connections rather than risk involving anyone in his dangerous past—or so he thinks, until Livienne Darby joins the crew. Desperate to get away from the memory of her beloved mother, Liv ran. After months spent wandering, she hopes the mercenary life will offer her some stability, allowing her to earn a living while also providing her with the solitude she craves. Her plans to keep her distance from the others go awry when a crew member is injured, leaving Jaris without a training partner, a position Liv reluctantly agrees to fill. Despite their best efforts, neither can deny their attraction to the other, but Jaris doesn’t want to risk endangering Liv by exposing her to his past, and his refusal to share details about his background fuels her concern that being with him is a mistake. When circumstances force Jaris to reveal the truth, Liv finds herself questioning who she is. Can she turn her back on him and his secret, returning to a normal life, or can she find the courage within herself to join him, and, together, fight for the future of their realm? Two institutions once held Astoran’s Adepts in check: the now-defunct throne and the cloister of the Seventh Sisters. Upheaval threatens to engulf the realm and topple its last remaining bastion as Eraly races to gather allies before confronting cloister leadership about their role in the massacre. But even as she acknowledges that they must be held to account, she fears that her actions will tear the Seventh Sisters apart, destroying the very institution she’s desperate to preserve. Meanwhile, the Guardians of the Flame are amassing to strike against the conspirators, and as eager as he is to see justice done, Nevin cannot escape his dread at the prospect of Vonessa exposing her secret. She worries about the potential for violence too, but she’s far more afraid of what will follow in the reckoning’s wake. Can she become the leader Astoran needs? Every other Guardian has a personal agenda to grapple with as well: Aderyn will at last face her brother’s murderer, Xaran will confront his House’s betrayal of the realm, Cianne will help capture her traitorous father, Kila will discover the fates of his fellow Enforcers, and Amir will take part in the upcoming battle to crush the nobility’s hold over the capital. Yet they all grapple with the same essential question: what will the consequences of their actions be? Will the Astoran that rises from the ashes be better than the sundered realm the conspiracy created? Includes all five books in the series. Twenty years ago, the entire royal family of Astoran was brutally slaughtered. With no clear successor in line, the realm has been on the verge of collapse ever since. Several distant relatives have staked a claim to the throne, while the Trade Houses and the Church also vie for control. The formidable Battle Masters of the Royal Guard refuse to take sides, and the Seventh Sisters, who have a divine mandate to ensure the realm’s balance, have done little to nothing, as far as Astoran’s citizens are concerned. Meanwhile, eight citizens will find themselves embroiled in mysteries that call into question the narrative surrounding the royal family’s assassination. A House Divided, book 1 - Cianne and Kila race to uncover the truth of a far-reaching conspiracy implicating the powerful Trade Houses. 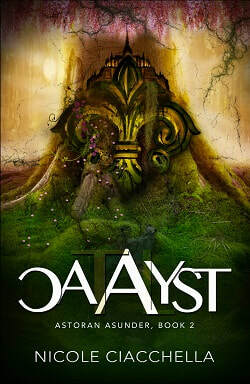 Catalyst, book 2 - Unraveling the connection between her brother’s death and his House may just get Aderyn and Xaran killed. 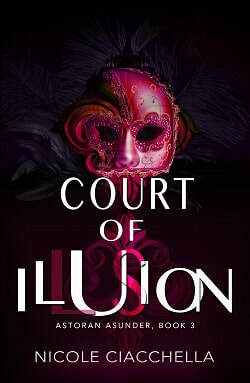 Court of Illusion, book 3 - Navigating deadly court intrigue leads Eraly and Amir to explosive secrets. 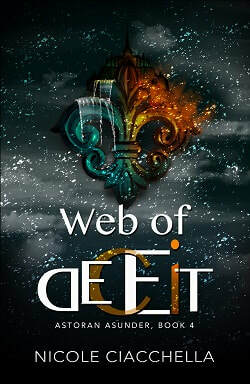 Web of Deceit, book 4 - Jaris must face his past, but doing so will place Liv, the woman he loves, in danger. 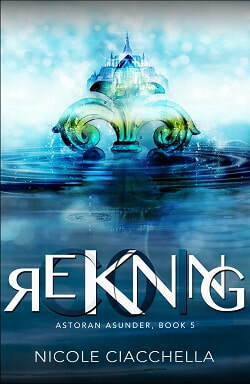 Reckoning, book 5 - The resistance unites to make the conspirators pay.